This is a staple in my house and I usually make it at least 2 times a week. It’s seriously the most delicious and easiest salad to make. 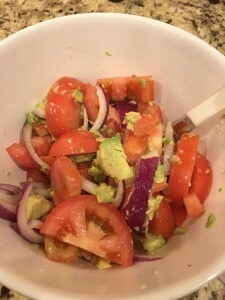 Cut up the tomatoes in bite size pieces along with the avocados and onions. 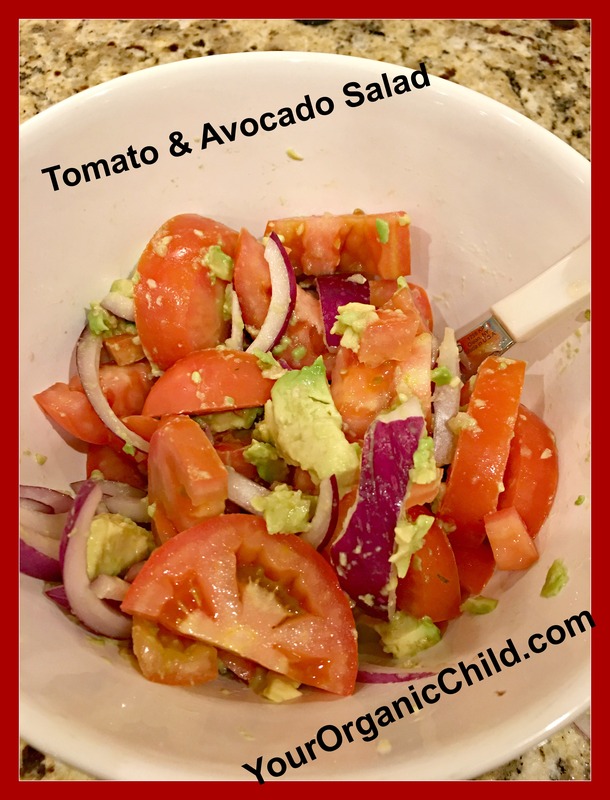 Put everything into a bowl and then crush the garlic over the tomatoes and avocado. I put in a lot of garlic but you can always add less. Gently stir the salad so you don’t mash the avocado. drizzle a small amount of olive oil and salt the salad and gently stir again. Let me know if you made it and how you liked it. It’s a favorite even with the kids!